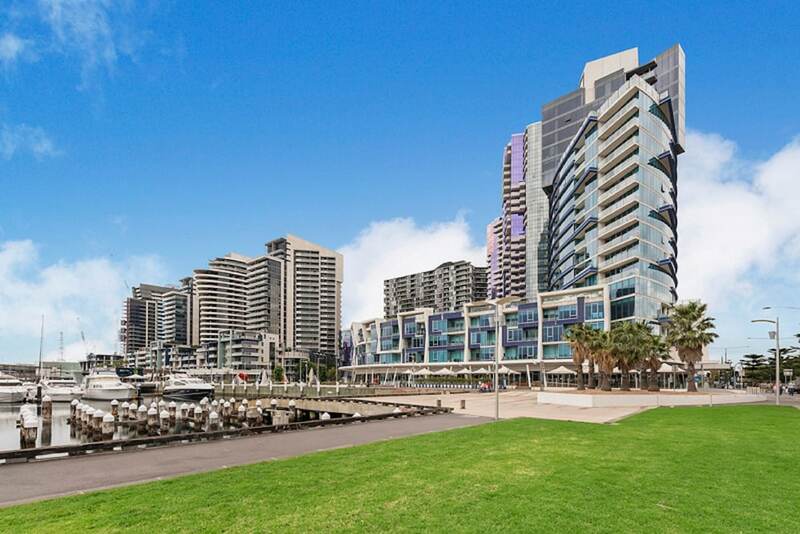 With a stay at Docklands Private Collection of Apartments - NewQuay in Docklands (Melbourne Central Business District), you'll be a 4-minute walk from Melbourne Star Observation Wheel and 11 minutes by foot from Marvel Stadium. This 4.5-star apartment is 1.6 mi (2.6 km) from Queen Victoria Market and 1.9 mi (3.1 km) from SEA LIFE Melbourne. Make yourself at home in one of the 70 air-conditioned rooms featuring kitchens with full-sized refrigerators/freezers and stovetops. Rooms have private furnished balconies or patios. 32-inch LCD televisions with cable programming provide entertainment, while complimentary wireless Internet access keeps you connected. Conveniences include safes and desks, and you can also request cribs/infant beds (surcharge). Grab a bite from the grocery/convenience store serving guests of Docklands Private Collection of Apartments - NewQuay. Featured amenities include limo/town car service, a computer station, and express check-out. Self parking (subject to charges) is available onsite. Docklands Private Collection of Apartments - NewQuay features a fitness center, tour/ticket assistance, and gift shops/newsstands. A computer station is located on site and wireless Internet access is complimentary. This luxury apartment also offers concierge services, laundry facilities, and dry cleaning/laundry services. Parking is available onsite for a surcharge. Docklands Private Collection of Apartments - NewQuay has designated areas for smoking. If arriving after hours, automatic check-in is available. For more details, please contact the office using the information on the reservation confirmation received after booking.